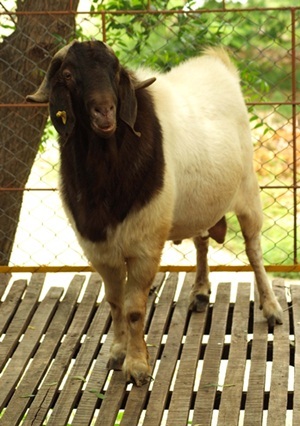 Boer goat is known for its fast weight gain, and quality meat worldwide. It is a native breed of South Africa and it’s developed and reared all over the world for Meat purpose. In India its Reared in limited numbers and it’s mainly used to cross breed with local breeds to yield excellent Cross-breeds. Cross Breeding: Though Boer breed is the best Fast growing breed in the world,In India Its available only in limited numbers. Female Boer goats are very rarely available for Sale. So, cross breeding is the best option For Devoloping Boer breed in India.